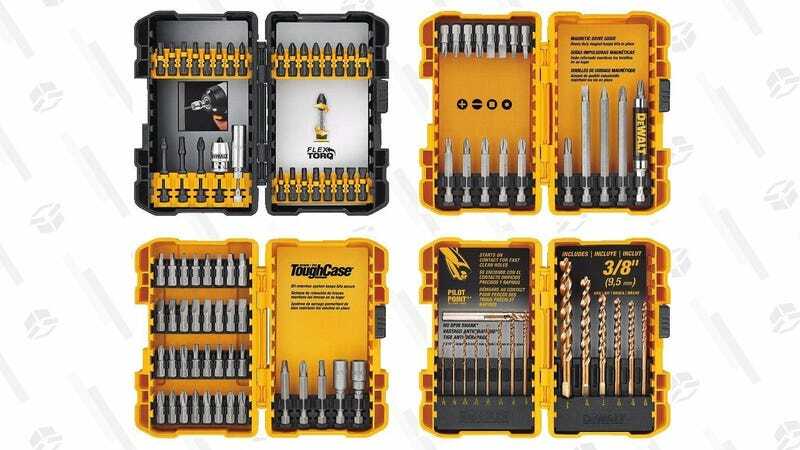 If you’re anything like me, you got a small screwdriver bit set in a stocking when you were like 19, and you’ve used the same slowly dwindling, extremely disorganized bits for every home improvement project ever since. Don’t have a Philips head bit that’s quite the right size? Eh, just use a flathead, it’ll probably be okay. It doesn’t have to be this way! 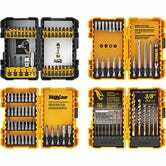 This 100-piece bit set from DEWALT includes four complete sets of bits for different jobs, in four different boxes, for just $30. I’m not saying you’ll never lose one, but you’ve got a lot of options here if you do.